Henry Holt and Co. (BYR), 9781250114501, 40pp. Washed ashore alone, a tiny sea otter pup needs help! Soon, a rescuer is there, to take her in and keep her warm and fed. The pup faces challenges in her new life without her sea otter family. But with the love and care of her rescuer, she flourishes in her new home. 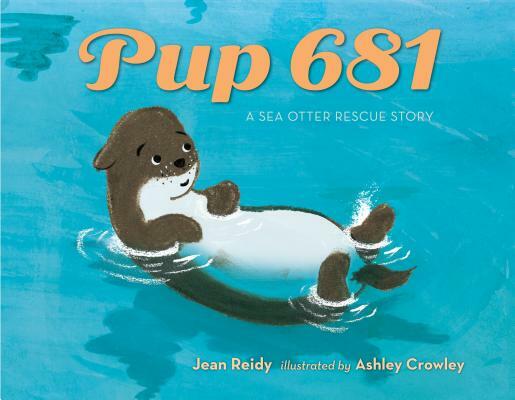 Inspired by a true story, Pup 681 is a heartwarming and hopeful tale about family and love. Jean Reidy is the author of several picture books . . . with many more on the way! She is a two-time winner of the Colorado Book Award (for Light Up the Night and Time Out for Monsters) and lives right across the street from her local library, which she visits nearly every day.